My T-shirt tutorial website is live and I have never been more excited about a website launch! Because for the first time I feel like I’m doing things in the RIGHT order. Even though 2 Create a Website has had tremendous amounts of success, I always felt like I did a lot of things backwards. For example, I waited way too long to start a list, sell products, etc. That’s largely because I didn’t have to. Having said that, it worked very well for me because I got an early start and was able to capitalize on search engine optimization, residual affiliate programs that I still earn from today and other advantages you gain as an early adopter. 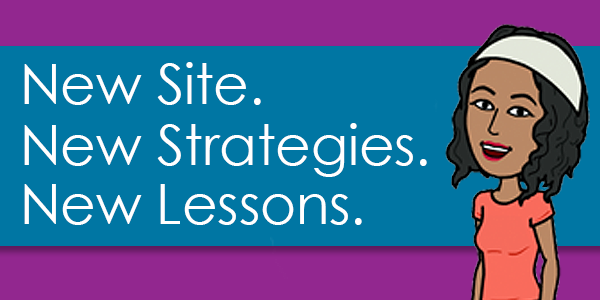 But things have evolved since I launched this site, and my strategy has to evolve as well. When I launched a website many years ago, I’d focus on building up a ton of content for search engine traffic and monetize that free info with affiliate links ads. That won’t work as well today. I also care more about building a list and selling my OWN products instead of someone else’s. In this post I will discuss what I am doing differently with my new site, and how I’ve grown in a business sense. Say Hello to Passive Shirt Profits! If you’ve been following me lately, you can’t be surprised about a new website. Since getting into Merch by Amazon last fall, I have been completely obsessed with print on demand — the process of uploading an image, adding it to a product and earning a royalty when it’s sold. By the end of this year, I will cross the six figure mark in royalties, and most of those earnings have come recently. I’ve also branched out and I’m selling designs in over 25 different niches/topics thanks to Merch. Not bad for a part-time gig! I don’t want to just focus on individual print on demand sites like Merch By Amazon. I want to teach practical skills such as coming up with creative shirt concepts for many niches (one of my secret weapons with Merch By Amazon) and software. It seems so many people are doing Merch sites and courses with a lot of the same info. I want mine to include more practical lessons. That’s why it’s important to research what potential competitors are doing and pay attention to comments in private groups, forums, etc. I used this as inspiration for my upcoming courses. I will never, ever, ever, launch another site again without having an email list. I didn’t launch one for this site until 2010. By that time, 2 Create a Website was eight years old! I also did not have any products to sell at the time, so I didn’t really utilize my email list to the fullest. This time I started an email list immediately, and thanks to my private group and podcast I already have 31 subscribers after just 2 weeks. 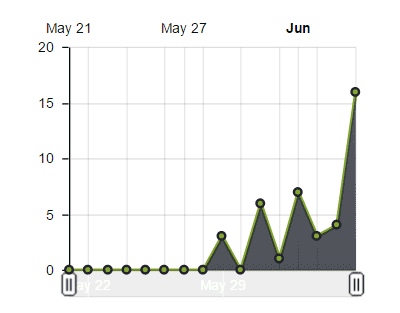 I launched my PSP Podcast on May 29th without announcing it, and had 30+ downloads and two email subscribers within the first week. That goes to show that people are searching and listening to podcasts about Merch and print on demand, so choosing that as one of my traffic methods seems to have been a good choice. Podcasting is always a great option for money/business topics anyway. After two weeks, I’ve already had 150 downloads! (The additional traffic boost came from announcing it to my private group after the first week). By the way, I’m loving Pat Flynn’s Smart Podcast Player! (No affiliation) It’s so functional and works great on mobile too! I love that people can listen to all shows in one place on my landing page, search episodes and share on social media — all in one concise, mobile-friendly interface! Three courses for PSP are already complete, and should be out within a week or so. Make sure you are on my list if you want to be notified. I’m just waiting for my reviewers to give me feedback so I can polish them up before launch. One reason I’m announcing the site before the courses launch is so I’ll have people on my list. And it feels super encouraging to have people in my private group actually ASK me when the courses are coming out! That’s confirmation there is demand for what I’m teaching, and that’s always a plus when you create a site and product. Also, when you wait a long time to launch a product, you may struggle with what to include and what to leave out because you already have so much published content. This was a huge struggle with me on this site when I first launched my affiliate course in 2014. It took me a full year of updates to finally get it to a point where there is a significant amount of different info that I don’t have elsewhere. Now I understand why people say your first course draft is always your worst because you are constantly adding/improving over time. And just for the record, it’s totally fine to include material in your course that you’ve covered in blog posts, emails, etc. (especially if you are upfront about it). I personally wanted it to have a lot of new material. I didn’t struggle with that with PSP because I have very little content out here on this subject, and that was completely intentional. I cannot believe I actually have a website with only one column! At first I thought it would feel restrictive. Then I realized I actually enjoy reading clean sites with lots of white space (especially on mobile), and I rarely pay attention to the sidebar links and widgets. More importantly, when I check my Google Analytics I realized how many people have the same browsing habits! Because more and more people browse on mobile devices now, that means the sidebar drops below the main content (if your theme is responsive). As a result, many people don’t even see your sidebar, much less click on the links! There’s not a lot to do at PSP just yet, and that was done for a reason. Right now, I’m focusing on podcasting and building my list for the upcoming courses. I’m keeping it very simple right now so I can track certain activities. This is the first time I’ve ever had a niche community prior to building a website and it was very helpful. The great thing about starting a private group before launching a site and product is that I have been able to gain insight into what people struggle with so I can address those issues in my courses. When you create a course, it’s easy to fall into the trap of adding what YOU think is important, but a customer might value something else. 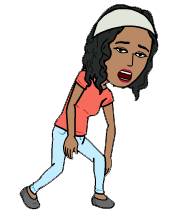 Here you are going on and on about step B and your audience is yelling…. We make a lot of assumptions when we’re creating our products and many times it’s because we don’t really know what people want. In addition, we’re often too close to the subject and assume people know or will learn it the way that we did. So we skip what we think is obvious to us, but it might not be obvious to the student. I am also having people review my courses before launch. I also did this with my Spreadshirt course, and I promised to never launch without this step. It’s always good to get a person in your target audience to view the course with fresh eyes from THEIR perspective. Again, we are often so close to our content, we miss key information that someone might need. I’ve read over and over again that you should always have an intro course to upsell other advanced courses. Plus, if someone likes your intro course they are much more likely to buy more. So for example, I have a 101 course for someone who knows absolutely nothing about print on demand, what software to buy, etc. The follow-up courses are on brainstorming, software, etc. I’m also planning to have smaller courses and then offer a bundle that will be less expensive than buying each course individually. My first courses on Udemy taught me a lot about what students like and don’t like. Those lessons were invaluable. I’m using Thinkific (no affiliation), and I’ll do another post about why I chose them and ditched Teachable at the last minute. Thanks, LaTosha for the push to switch. If you value your sanity and want people to respect that your time is valuable, you HAVE to learn to set boundaries for yourself and business. There was a time when I would do a LOT for people for free, and while I know people appreciated it, I now realize some abused it. It drained the heck out of me! And PLEASE don’t feel sorry for me because I allowed it. I’m sharing this so YOU don’t fall into the same trap I did. The one incident that sticks out in my mind was when I helped a gentleman with his website code. We went back and forth for 3 days until the issue was finally resolved. He praised me for the help I gave him and I felt awesome. Now multiply this story by several others over the course of many years. From the outside, it looked generous and helpful. I genuinely DO enjoy helping people. I began to feel overwhelmed, stressed and started to experience burnout. I was teaching people that my time doesn’t cost a dime and some began to expect it. Keep in mind, I’m not just talking about answering questions that require one or two sentence answers. I certainly don’t mind it when people email me with questions. In fact, I welcome that! I’m talking about extensive work like helping people with code, coming up with strategies for their sites and things that took a lot of time — especially when you are doing this for several people per month. That’s one of the reasons I decided to open my Facebook group to students only. That was my first small step into the world of setting boundaries. Two years ago, I would have felt selfish saying all this, and would have NEVER admitted this on my blog. Don’t let anyone make you feel guilty for setting those boundaries. Also, don’t complain about people sucking up your time without paying if you’re allowing it. You teach people how to treat you. That holds true in every area of life, even business. While I will never change how I operate in terms of integrity and ethics online, I have learned that it is OK to say “no” and set boundaries for what I will and won’t do for free. Creating this new site caused me to reflect a LOT on 2 Create a Website. If I could launch this all over again I would have kept the content much more focused instead of covering Internet marketing, earning online AND WordPress. Website creation or blogging might seem specific enough at first, but it attracts people who want to create so many different kinds of sites and their reasons for the site varies. I would get questions on how to create sites I had no idea or interest in creating, as a result, I alienated potential subscribers and customers right off the bat. Looking back, I would have narrowed down the focus to tutorials for creating a specific kind of site like an infopreneur website — which is really what this site is. So if you’re looking to create a site in this space, make note of that. Don’t be afraid to narrow the focus down. Everyone and their mama 🙂 has a how-to blogging site these days, but not many are “niching down” to a type of website (ecommerce, membership, infopreneur, etc. ), and I think there are major opportunities there. It may feel like you are alienating people, but what you’re doing is attracting a very specific audience that will be easier to target content to. …It’s more like “hello” to new lessons! While I may not be blogging or podcasting here regularly (it’s not like I have been anyway! ), I will certainly be back to share the lessons along the way like I am now. Having a new site will make my content here even more helpful if you’re also doing some of the same things. Having said that, I will be focusing more of my attention on PSP due to the fact it’s new and I will be dedicating time to helping students when the courses launch. I’ve been in transition for quite a while now with my business, and I finally feel like I’m moving in the right direction. There is a big difference between monetizing free content with ads and affiliate links and selling your own products when it comes to overall strategy. I have learned how much I truly did NOT understand about business and setting boundaries. It’s ironic that people often come to me for coaching on starting an online business when I feel like I’m JUST now grasping many of the core fundamentals. But I don’t regret a thing I did or any mistake I made because that’s how I learned. You have to put things out there and make mistakes so you can learn what to do, and more importantly, what NOT to do! This blog is full of useful information.It has really help me to monetize my blog. Thanks for being so generous. very informative post you made ? Will you, please, advise me what to do? Hey Lisa. Great new site. I’m interested in this so I’ll be following you. I signed up for your list though, and didn’t get the ebook! The confirmation mail didn’t go to spam but arrived in my inbox alright. I clicked the link and it said I’ve successfully confirmed. But the ebook has arrived neither in my inbox nor in my spam folder. The email I used in this comment is the same as the one I used to sign up to your other site’s list. Anyway looking forward to that new site’s conent. Hi Denis, that’s strange! I’ll email it to the email you have for this comment. Sorry about that! Hi Chris, if I may be honest I don’t even follow SEO anymore. I am using podcasting and video to drive traffic to this new site. Google has gobbled up so much of this site’s traffic over the years that I don’t even keep up with the latest. Fortunately there are other ways besides SEO to drive traffic. You stated “When I launched a website many years ago, I’d focus on building up a ton of content for search engine traffic and monetize that free info with affiliate links ads. Why is that? I’m working on an infopreneur site myself. So is focusing on adding lots of good content and affiliate links no longer a good strategy? Thanks for your insight. It’s not a good strategy for SEO or ranking a website. So it’s always good to add great content and affiliate marketing is alive and well. But you have to do different things to drive traffic to your site. That’s what I meant. I should have been more clear on that. 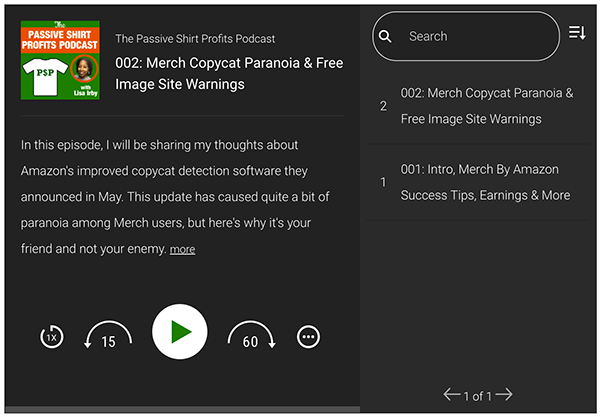 For example with http://www.passiveshirtprofits.com I created a podcast and it’s really helped me gain a new audience. I’ve purposely done nothing else but podcast because I’m testing to see how much traction I can get. I just had a lady sign up for my intro course yesterday because she found the podcast. Money comes when you get traffic. So it depends on how long that takes which will vary. compliment for this detailed blog. But I have a question. What is more important for you or what is more successful: podcast or email list? I would have to say the email list only because with my recent launch the majority of people who bought were on my list. I use the podcast on passiveshirtprofits.com to build my list. So they work hand in hand. Wow awesome post! And u are right at boundaries…. I like your practical approach.The benefits of building an email list aren’t confined to developing a stronger sense of trust with your clients. Rather, what most of us like to hear is that building a strong, consistent relationship with your audience tends to result in something pretty spectacular: a stronger income and loyal clients. Podcasts make information personal.Podcasts are convenient and easy to consume. It’s an on demand technology. Podcasts are one way to deliver on a social networking strategy. Simplicity is the key to success as mentioned by you. I will share your post on twitter. I was always struggling with the e-mail list thingy. What I’d like to do is collect e-mails and send them in the future as e-newsletter mass messages. So lets say i want to send 10k e-mails at once using an e-mail service and not sent from my server. Is there such an e-mail service that does that at those numbers at once? And if so, how much do you think it’ll coast as a monthly fee? Sure, that’s all I’ve ever used and what I was referring to in this post. So when my courses launch I will send a mass email to notify people. I use AWeber, but today you can use ConvertKit, ActiveCampaign, MailChimp, etc. and there are dozens of them out there now. The fee depends on how many subscribers you have on your list. It increases for every X amount. Lol!! Thanks. I’ll be back on the Tube! Congrats Lisa on your new site and sharing with us your new direction. I love your style and perspective and how you can adapt so quickly from what works and what doesn’t and know how to make your business grow. You have some very effective insight of yourself and what can help a lot of people. You also write well and your articles are interesting when the subject can be boring or difficult to grasp. Thanks you are a star in cyberspace and very knowledgeable congratulations on your success. Yep it WAS a long one Lisa but very worthy and well worth the read. I think most of us think we do things backwards when we start off and finally “get a grip” of things. I actually just published about launching and the 3C’s just now too! 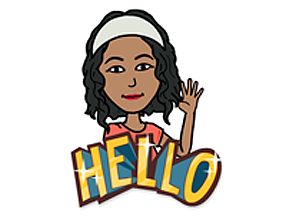 Gotta love Bitmoji! lol Thank you. Good luck with your new site! Great post Lisa! Thanks for all the things you do. I definitely value your time and I am looking forward to great things in the future. Hey Keeon, thank you so much. Looking forward to this! You seriously never cease to amaze me. I totally understand why people would view you as a coach. You’re extremely knowledgeable and down to earth. Life is heading you down that path so you could easily roll with it if you wanted to do so. 😉 I’m glad that you set boundaries with your time. That has always been something that I have struggled with but I’ve gotten much better. I can’t wait to listen to your Tshirt podcasts because I really enjoyed the ones on this site. I’m trying to up my Tshirt game and I recently got accepted into the Amazon Merch program, so the timing of your courses launching is perfect for me. Thank you LaTosha! I am so glad that other idea failed. This was what I was supposed to be doing and things happen for a reason. I am soooo happy I am with Thinkific. Their support is amazing and they get back to me so quickly!! You are amazinnngggg. Thanks for sharing. I appreciate it. Great tips for a new blog/website owner! I so agree with you that building an emails from the very beginning is super important! I have learned that lesson the hard way. I remember when I first started online with my very first self-hosted blog site – I did not care to build an email list for about a year or so. I highly recommend new bloggers to invest in their email marketing education. Trust me, you will thank yourself in the future if you grow that email list to the thousands! I love your new website and the value you are giving there, Lisa! That is a new marketplace I’m yet to learn more about and play with! Thank you very much for sharing this and all the cool value! Yes, I regret not collecting emails and I also didn’t have a product at the time so my strategy was kind of all over the place. LOL Thank you. This is awesome! I’m excited to check out your new site and Podcast. Bonjour Lkza je n’ai jamais suivis un seule de vos cours, je suis nul et n’ai jamais compris, j’aime vous lire. I loved this post, Lisa. I’ve had my site now for about three months and it seems like I am moving at a snail’s pace with content creation. Now I feel better knowing that you are still learning. See you in class soon! Firstly, thank you for sharing this with us. I’m really excited to hear that you will soon have a course helping people with this. Are you able to provide a rough date on when your course will launch? I have just been accepted to the Merch program by Amazon and it would be great to be able to use your course to help me with my first product. I have already bought some of your other courses and the value you provide goes above and beyond in my opinion, which is why i’m super excited to hear you’ll be making a course for this. Whether you can give a date at this time or not, I look forward to it. Hellooooo Lisa! OMG Congrattttttulationss to you for starting the new site and another congrats for charging what you are WORTH! You are sooo right about teaching people how to treat you – if folks think that they can take advantage of you they will. Sad but true. I am so super excited for this new journey you are embarking on and have subbed to your email list. I know that you are going to knock it out of the park ladybug. Well wishes and I can’t wait to listen in on the new podcast — heck youre inspiring me to start one of my own (but we shall c about that)lol! Hey Kim! I am so glad we connected, and I love watching your site evolve. There is no doubt in my mind from first glance the type of person you are targeting and we can all learn from that. As I’ve said many times, I learn a lot from you and love the feel of your new layout. I always tell people who need social media presence help to go to you. Awesome post, Lisa…as usual you explain things so well. This site was the first help that I found many years ago when i began my journey to start a website. I have also taken some of your courses and LOVED every one of them. 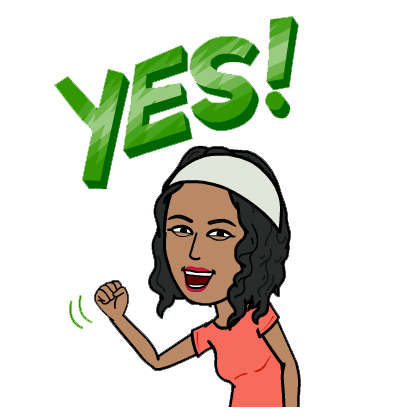 You have been such a help to me, but more than that….your blog posts and videos have been motivating and encouraging to me to keep going. I thank you for that! So glad you are creating a new journey and will definitely be “following” you all the way along the path. I know I have lots more to learn and look forward to seeing where you are going! Good luck and best wishes for continued success! Hey Paula!! That’s so cool. I really like it when people share how/when they found my site and it’s so inspiring to hear how it’s helped people so thanks for that. Appreciate the support over the years. Lisa! Congratulations on the new site and a new podcast too. You’re incredible. I do have a question about you’re email provider for PSP – are you using AWeber – or something different? I’m looking forward to following you on this new journey. I love how you have transitioned and how you continue to inspire us to think outside the box. Thank you Ileane! I am still using AWeber but am considering Convert Kit. I can’t make up my mind. I was going to move but AWeber just gave me an upgrade and I still kept my amazing rate (I mean AMAZING rate) so it’s hard to move away. Plus, they keep adding tracking/conversion metrics. How ’bout you? What are you using now? I have been following your site for a long time. First, your past focus on WordPress really did help me:) I know there is a change of focus now but just wanted you to know that all of the work you have done over the years was super helpful. On a karmic level, it is just important to state that. Second, you are so very right about boundaries. I’ve learned that there are people in this world who take … and take … and take. It is just their nature. Unless we establish firm boundaries, they will continue to do it. At some point, you might want to consider offering a one on one consultation session with people if that is what they want (after the course). If you do, I encourage you to think about charging by the hour. In fact, in my experience, that’s the norm. You would have to figure our pricing, etc. But I’ll say this – I would only do it if you get paid exactly what your time is worth. I know some who charge $200.00 an hour (and that is just the starting point). Anyway, always have enjoyed your work and efforts! I’ll be thinking about what you shared in this update, particularly starting the email sign up form early! Thank you John! It is an amazing feeling once you figure out the boundary thing because I was really struggling with that for a very long time and felt guilty admitting it. I have received requests about the coaching already, and I will probably offer additional Skype, hourly coaching. There seems to be a demand for that and I may consider that once the courses are out so thanks for your insight on that! Perhaps I could add that as an option with the purchase of a course. I remember I made my first post some months back on your post about backlinks. On reading this, seem I am commenting to also say I started a new music blog after getting a little set back and it took me a while to pick up….but I hope to be able to achieve better results with this than previous blog. I always get motivated anytime I land on your blog…keep up the good work. Well I’m glad you stuck around after finding my post on backlinks, Prince. Thank you! I’ve been around long enough to know you’re the real deal. So whether you have it all figured out or not, I can count on you giving it to me straight even if it means no money in your pocket. That’s rare and I appreciate that about you. The other thing I noticed, is not only do I ready every single word of your emails and posts, but I always feel encouraged by them. Wow!! I appreciate you for saying that. Thank you, Darlene. Glad I could help encourage you! First, congratulations, you are an Internet Rock Star! That is sobering and empowering at the same time. Best wishes for your PSP adventure! I second the boundary thing. It’s amazing how some..not all of course..but some pp will take and take and take. So it’s healthy to set boundaries on what we’re willing to give. I hear you, Darlene. It was the reason I got out of the web design business, years ago. Now, the only blame is on me for “over-providing” on some client deliverables. It’s one thing to over-deliver to delight your customer. It’s quite another to tailor such over-delivered items to accommodate line of business issues for which I could easily write up as a separate project. Ya know?